What is your favorito angel pairing? Buffy believes in the amor between her and Angel. She knows she shall believe. a comment was made to the poll: angel or Cordelia or Anagel and Cordelia? a comment was made to the poll: Which one do you like better? a comment was made to the poll: What is your favorito angel pairing? 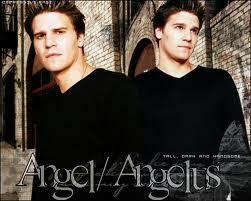 Who turned angel into Angelus?